This Competition Spring Kit will give your trigger a smoother, lighter, more crisp feel to your trigger pull. Fits all Glock models gen 1-4, except the Glock 42, 43, 43X, and 48. This is the NEW AND IMPROVED ultimate competition shooter spring kit. This kit will give your trigger a smoother, lighter, more crisp feel to your trigger pull. And, now, it comes with 4 different Firing Pin Springs to allow you to adjust your trigger pull exactly how you like it! Our springs are custom made for the GlockStore by a nationally known precision spring manufacturer for quality that will last! Fits all Glock models gen 1-4, except the Glock 42 and 43. Exact OAL variance: -+- 0.002"
Gunsmith/armorer not required for installation! Was easy to put in with Lenny's youtube videos. Did not find in the description or package that they recommend using the 4 lb spring or you may get lite primer strikes and failure to fire. 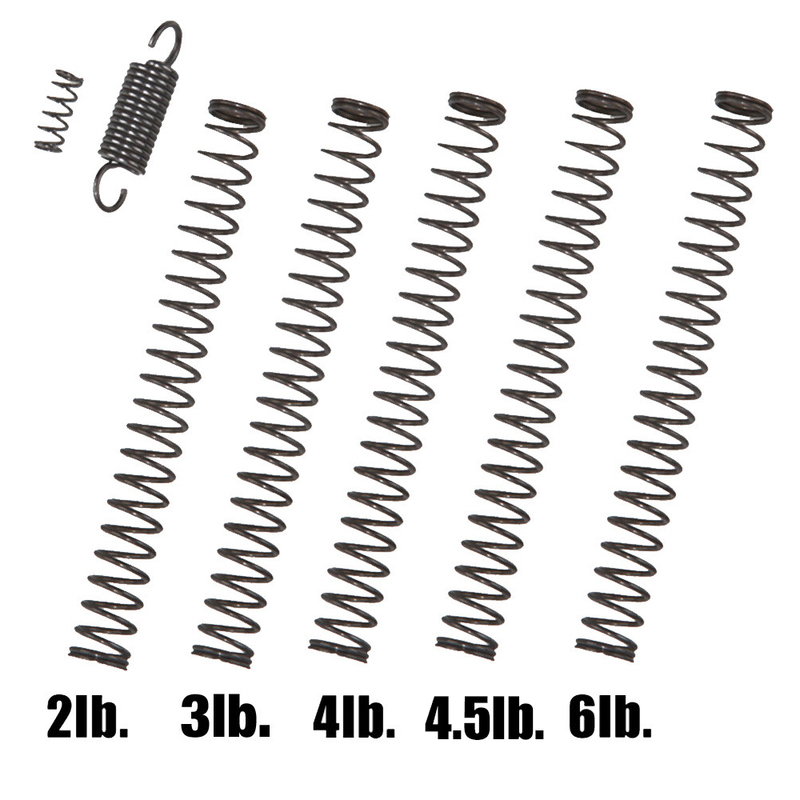 With the 4 lb spring and other springs the trigger is noticeable lighter and smoother. Would recommend. I found that if inserting the pins is difficult try from the other side of the gun.